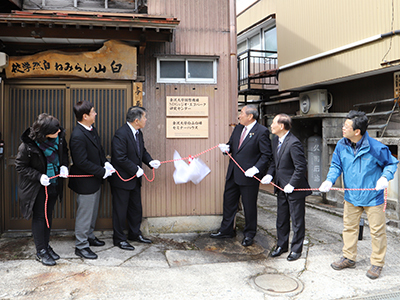 On February 27, “Kanazawa University Organization for Global Affairs SDGs Biosphere Reserves, Geoparks Research Center” and “Kanazawa University Hakusan Shiramine Seminar House” Unveiling Ceremony took place, and Mayor Noriaki Yamada of Hakusan City, Chairperson Koichi Yamaguchi of Hakusan Shiramine Nature School, a non-profit organization, President Koetsu Yamazaki of Kanazawa University, Vice President for International Affairs and Director of Organization of Global Affairs Yoshio Otani, Associate Professor Aida Mammadova of the Organization of Global Affairs, and affiliated staff of each organization attended the event. 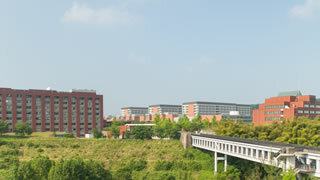 This Center is the new academic base which Kanazawa University established to promote research and education on the SDGs, geoparks and UNESCO ecoparks, with cooperation from Hakusan City and Hakusan Shiramine Nature School. 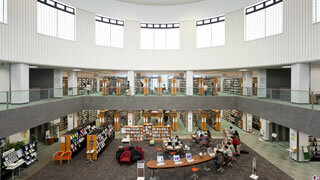 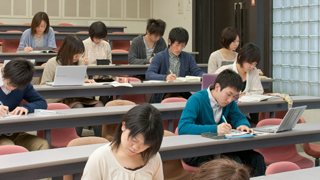 The Center will also be utilized as the “Kanazawa University Hakusan Shiramine Seminar House” to implement international education through activities such as student camps, making the most of the charms of the region. 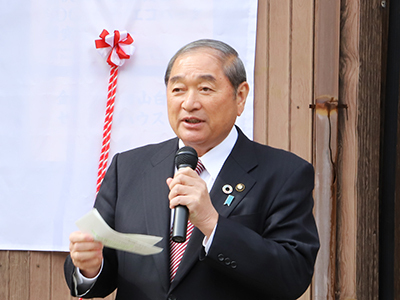 At the ceremony, prior to unveiling the name plate, President Yamazaki gave a few remarks filled with anticipation for the center to promote SDGs research and education, protect the nature of Shiramine, and contribute to SDGs and regional development. 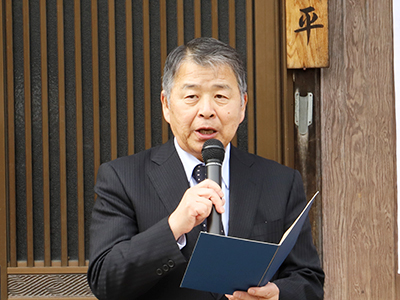 Mayor Yamada of Hakusan City also offered some remarks. 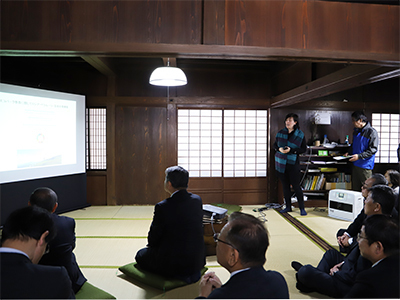 After unveiling the name plate, the presentations of the past activities and current projects took place inside the center, and the participants expressed their strong anticipation for the center’s full launch.